Remove grease, oil and all other surface contaminations by alkaline or high pressure (steam) cleaning in combination with appropriate detergents. Remove rust scale, loose mill scale, loose rust and loose coatings by scraping and wire brushing to St 2 (ISO 8501-1: 1988), light blast cleaning or sanding. Sand previous coatings, which are in good condition to roughen the surface slightly. The surface must be clean and preferably dry during application. Dilute up to 10 vol. %; Rust-Oleum Thinner 633. Use medium nap, polyamide (perlon 8 -12 mm) rollers. Roller application may require 2 coats to achieve recommended dry film thickness. If required, up to 5 vol. 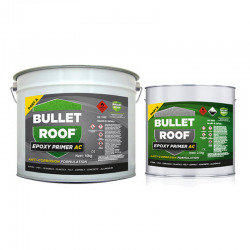 % Rust-Oleum Thinner 641. Pneumatic and electric airless equipment. Tip size: 0.013-0.015 inch Fluid pressure: 130 - 200 bar. 10-20 vol. %; Rust-Oleum Thinner 641. Gravity cup and pressure cup. Tip size: 1.2 -1.8 mm. Atomising pressure: 2 - 4 bar. International Interplate 398 is a two component, fast drying modified epoxy phosphate prefabrication primer for manual or automatic spray application. 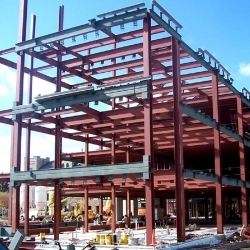 International Interplate 398 is intended to pre-prime steel prior to the fabrication process and can can be overcoated with a large range of coating systems. 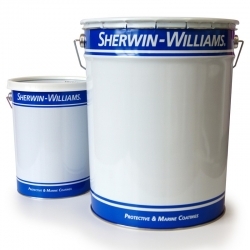 Sherwin-Williams Zinc Clad M501 is a 2-pack epoxy zinc rich anti-corrosive primer, providing anti-corrosive protection of steel surfaces prepared by abrasive blast cleaning. 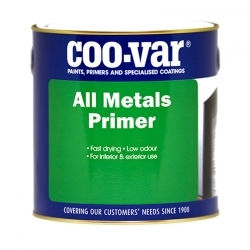 It may also be used as a repair primer for galvanized surfaces. Jotun Barrier Smart Pack is a two component ceramically reinforced polyamide cured zinc rich epoxy coating. 1:1 mixing ratio for easy use and reduced wastage. Designed for brush and roller application, makes it ideal for maintenance and touch up. 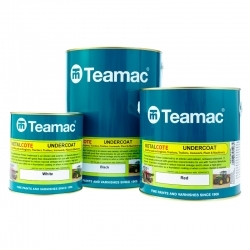 Suitable for carbon steel, repair of inorganic zinc silicate coating and damaged galvanised steel substrates. 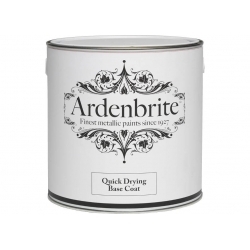 A full bodied, high opacity undercoat suitable for use with Teamac Metalcote Plant Enamel paint, used as a primer or undercoat on bare or previously painted surfaces, gives a matt finish, presents a good surface and enhances topcoat. International Interplus 256 is a low VOC, two component internally flexibilised high build surface tolerant epoxy primer. 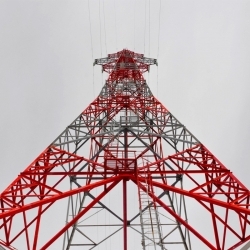 It is pigmented with aluminium and lamellar micaceous iron oxide for improved corrosion resistance and represents the second generation in surface tolerant technology. 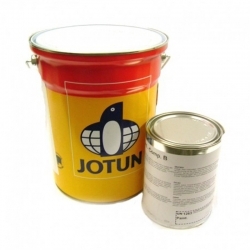 Jotun Alkydprimer is a one component, single pack oxidatively drying alkyd coating that can be used as primer or mid coat in atmospheric environments. 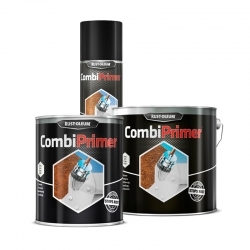 Suitable for properly prepared carbon steel, aluminium and wooden substrates, this alkyd primer is deal for a wide range of industrial structures or for touch up areas in the marine industry. 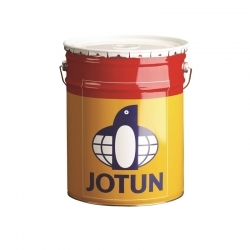 A specially designed primer from Jotun with 90% zinc dust content for highly corrosive environments where extended durability is required. 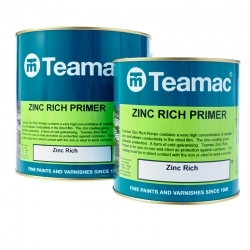 It is a very high zinc dust containing product that provides excellent corrosion protection as part of a complete coating system and is to be used as primer in atmospheric environments.